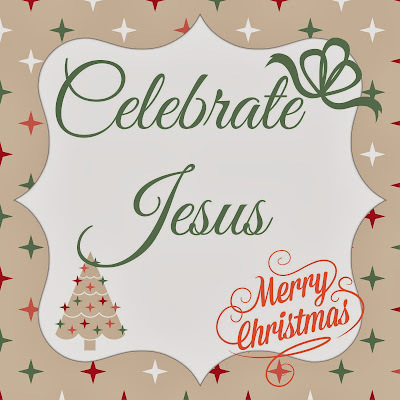 I am in awe of those who celebrate the birth of my Savior, yet do not want to include His name in the celebration. People want the celebration without Jesus- it makes NO sense. from one of the greatest moments in all of History. to live and ultimately die, for us. Yeah..pretty much sums it up. The devil loves to distract us from Truth. Isn’t it ironic that a holiday all about Jesus, a lowly servant, with no money, home, or material items…who taught to love God over money, love God over things….has become about those very things? People don’t want to be offended by adding Christ to Christmas? Yet that is WHO the day is about? I’m offended when you take CHRIST out of Christmas. Besides, how is it offensive to share the Good News that Jesus offers us? To love people enough to let them know…He is the Way…the only way to eternal life? Maybe it is offensive, but I call it love. I love people enough to share with them the greatest gift there is…salvation through Jesus Christ alone. Will you share the gift with others this Christmas?